Join CMGMA today to save and start receiving member benefits immediately! 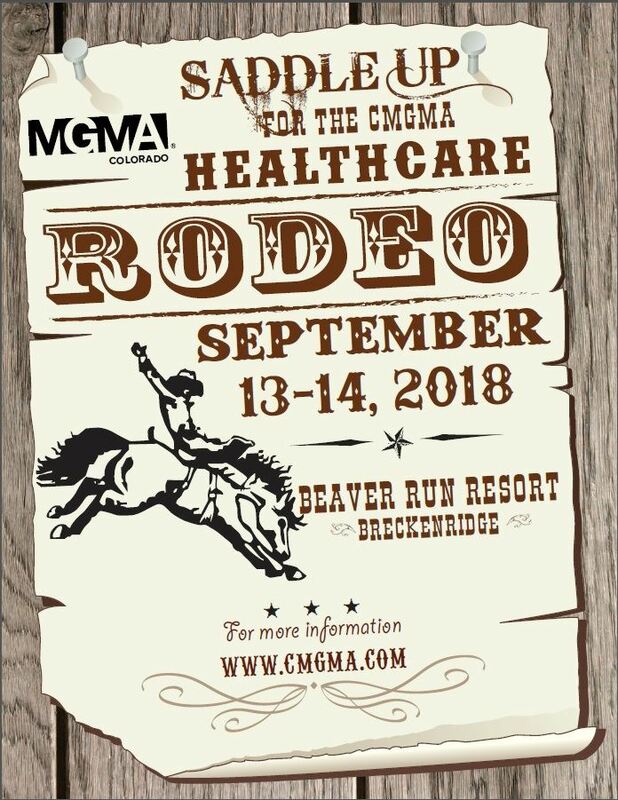 The 2018 CMGMA Fall Conference is an annual event that brings healthcare professionals from across the state of Colorado together. It features top notch speakers, presentations and materials along with valuable networking opportunities. • Outstanding speakers on timely topics targeted to medical group administrators, executives, managers, health administration students and faculty. • Networking events, meals and social functions to facilitate discussion and relationship building. • Valuable continuing education credits. • Exhibit Hall featuring providers of the industry’s most sought after products and services. Medical group managers and administrators of all practice specialties who are interested in learning practical health care solutions. Professionals encouraged to attend are medical group administrators, executives, managers, coders, billers, health administration students and faculty.